Located in Kennewick, WA, dentists Dr. Hatch and Dr. Dawson at Columbia River Endodontics specialize in root canals, as well as several other endodontic procedures. If you are experiencing tooth pain, have a cracked tooth, or have had recent dental trauma, schedule a consultation today. Our qualified, professional dentists and team will provide you with the information you require to make an informed decision about your oral health needs. If you would like to put an end to your tooth ache, an endodontic treatment may be the solution for you. The cost associated with this procedure can vary depending on factors such as the severity of damage to the affected tooth and which tooth is affected. Generally, endodontic treatment is much less expensive than the alternative of having the tooth extracted. An extracted tooth must be replaced with a bridge or implant to restore chewing function and prevent the adjacent teeth from shifting. These procedures tend to cost more than the endodontic treatment and appropriate restoration. 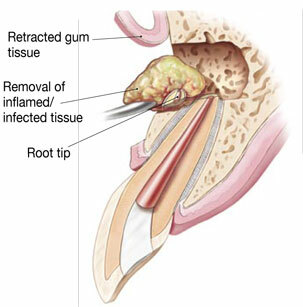 If you have any questions or concerns about root canal retreatment, please ask us!